TechCrunch based the following post on ComScore numbers, which shows “MySpace currently has 124 million monthly unique visitors, compared to Facebook’s 276 million” in Feb 2009. 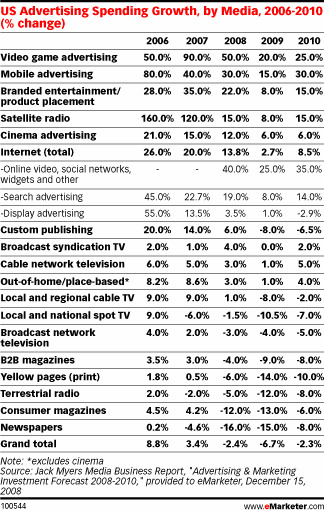 But checking Compete and QuantCast the numbers are not just slightly different, they are way different. Given the huge discrepancy, the only thing that can really be concluded is that Facebook has overtaken and is larger than MySpace now and continuing to widen the lead. 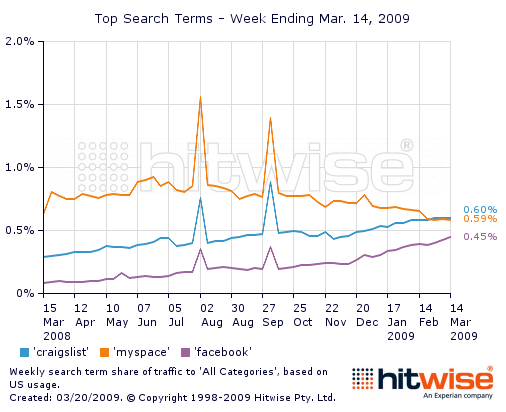 the comparison to MySpace is irrelevant for the conclusion; furthermore, the report uses search volume for the comparison and people search for “craigslist” and “myspace” for entirely different reasons. 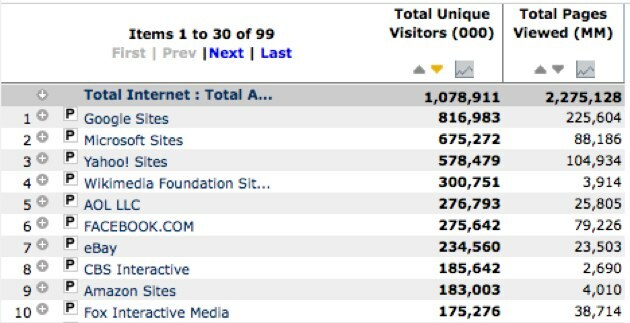 And MySpace continues to have 8X the unique visitors as Craigslist — so it is not that Craigslist is more “popular” than MySpace. A sign of the times is that “garage sale” type sites are all seeing increases in traffic — e.g. Craigslist, OLX, Backpage, etc. is your brand name a generic word? TAG – men’s personal care line from Proctor & Gamble – hard to pick out from other search results on “tag.” The brands have to use paid search ads to show up. serch engine optimization is critical, otherwise, looking at the following graphs, there is no way to tell when a brand launched or when they have campaigns in market, because the volume of search on the generic term is so great, the lift in search volume due to paid advertising is not detectable. reducing the number of clicks between the inspiration and the action (purchase) usually helps reduce the precipitous drop off of people not completing the desired end-action. in-banner commerce means you can sell the item right in the banner. The user may already be registered with Amazon.com and have their card on file. This can be 1-click purchase in the banner itself — to take advantage of impulse purchases. This works especially well for low cost and low consideration products.